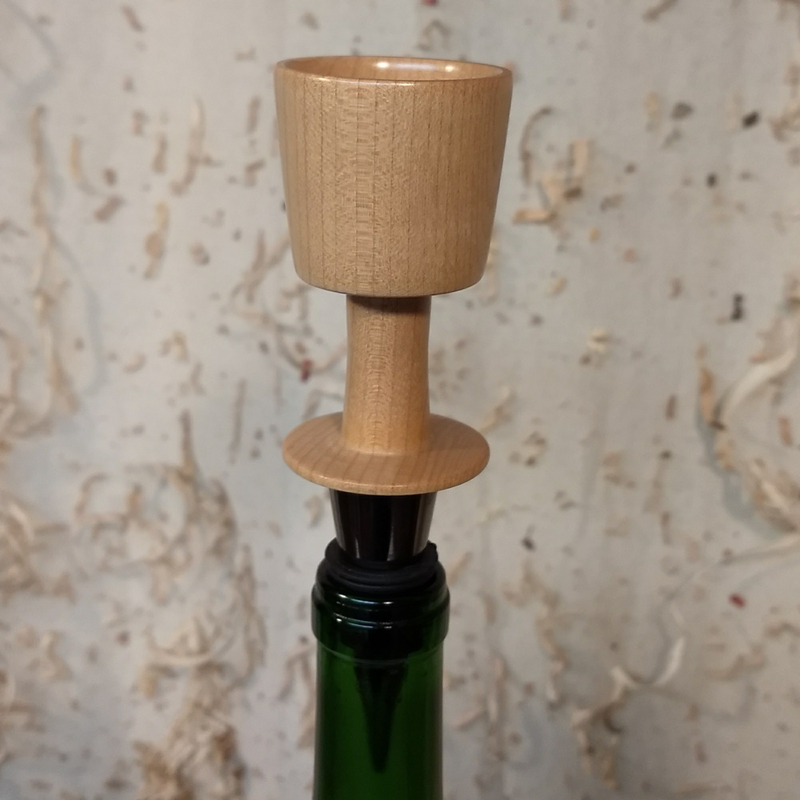 This is a maple stopper in the shape of a goblet. 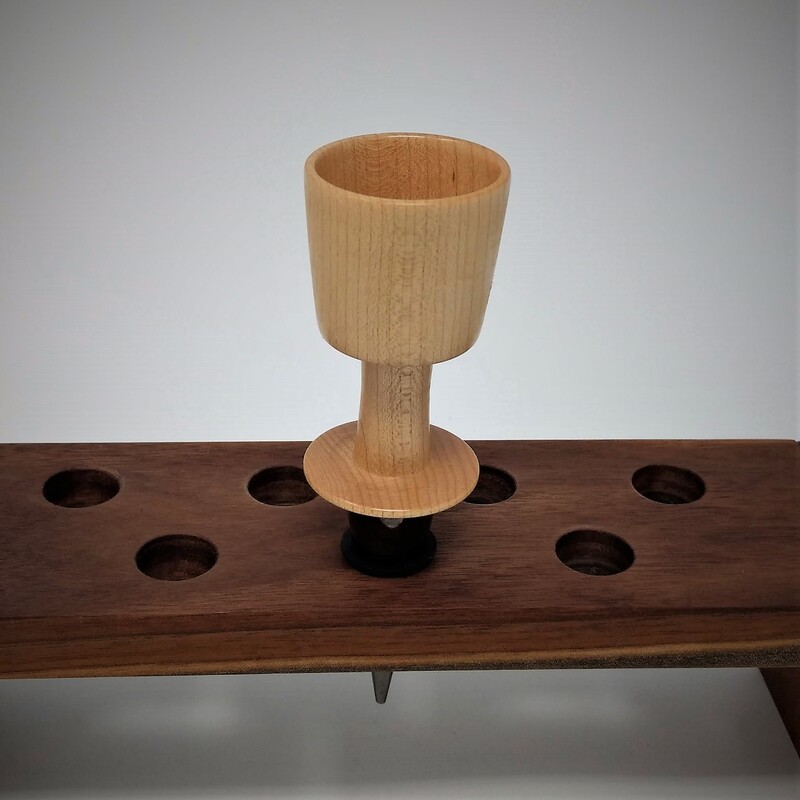 The finish on the goblet is not intended to hold liquids and would likely be damaged by alcohol and is not intended to be used as an actual goblet. 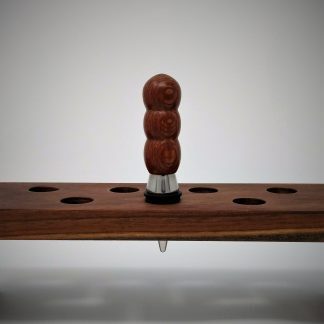 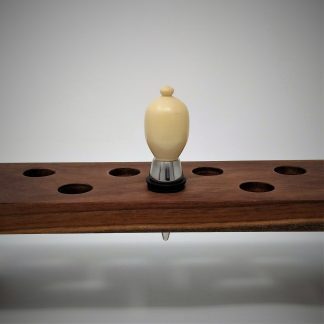 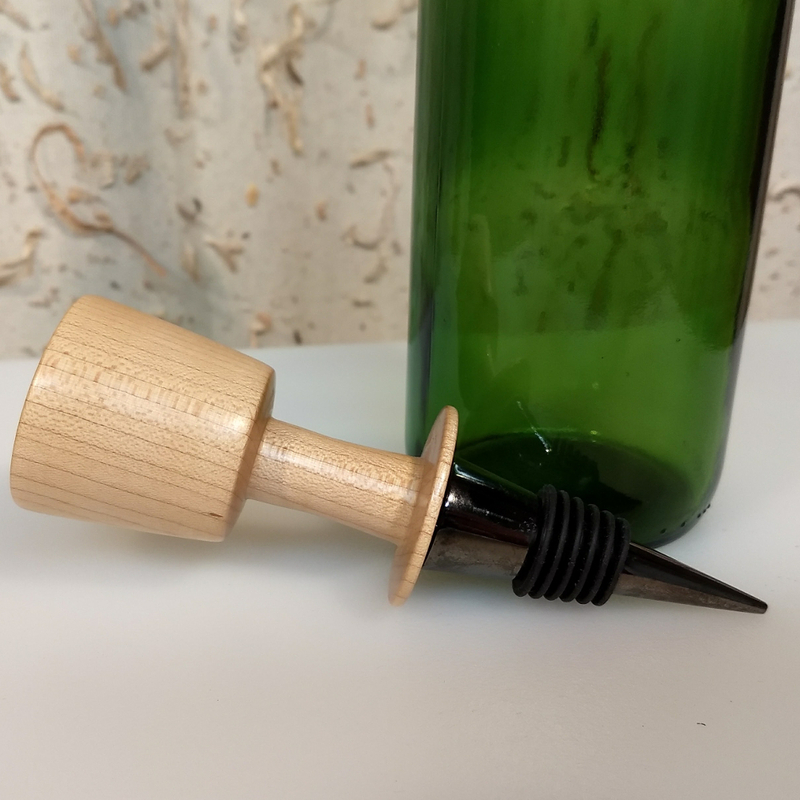 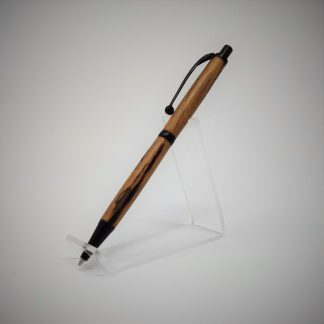 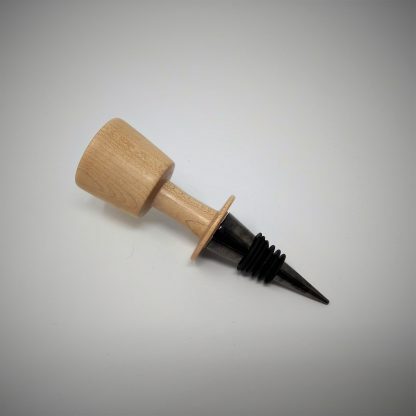 Maple goblet bottle stopper with TI hardware.